Prof Darshan Singh Ragi is in the panthic dock for using derogatory remarks on the Jeevan and Banee of Sri Guru Gobind Singh Sahib. The case is simple and straightforward. He narrated a story which he claimed appeared in Sri Dasam Granth. While performing keertan at a gurdwara in Rochester, NY, Prof Darshan Singh claimed that a story appears in Charitropakhyan where Guru Gobind Singh Sahib goes to a prostitute. The prostitute tries to lure him. Guru Sahib contemplates that if establishes relationship with the prostitute then the one who will be born out of that relationship will only be a pimp. Now the case was simple. Prof Darshan Singh claimed that this narration was in Sri Dasam Granth. Two months have passed and till date he has not been able to show the page number of the granth where this story appears. Reason? Because he molded another story to fit is taste. No such story with the words used by Darshan Singh appears in Sri Dasam Granth. A US based TV Channel interviewed Darshan Singh for over an hour and gave him the opportunity to substantiate his claims. But he failed miserably. Moreover he couldn’t even properly read the lines from Charitropakhyan, a subject he loves to talk about on every occasion. It was expected that all the Sikh organizations will stand together to criticize this Guru Nindya, like they did with Ashutosh, Bhaniara and Gurmeet Ram Raheem. Unfortunately, it’s this eternal weakness of the Sikhs that though they can fight the external enemy with full might, they get easily deceived by an enemy from within – an enemy who wears turban, carries a kirpan and looks like them. And that’s what has happened in the case of Darshan Singh. Over the weeks a simple and straightforward case of Guru Nindya has been colored in many shades. Some see Darshan Singh issue as pro or anti Dasam Banee issue. Some see it as pro or anti Khalistan issue. And some see it as pro or anti Badal issue. The real issue has been overshadowed by all this mish-mash. If there was any truth in Darshan Singh’s stand then this issue could have been resolved in a matter of few minutes. The reason that this has taken so long and became so complicated proves that Darshan Singh has no justification for his blasphemous remarks. He could have maintained his larger-than-life status by agreeing that he misread the scripture and by confessing that what he said was wrong. Instead he went on a counter allegation spree. Sometimes blaming the translations of Dr. Jodh Singh and sometimes taking refuge in those individuals who reject the basic principles of Amrit, Nitnem, Ardas and Rehat Maryada. But what Darshan Singh said in Rochester is not a random and unrelated assault on Sikhi by him. Since a couple of years he has been behaving as an outlaw. He has been speaking against the validity of Nitnem and Amrit Sanchaar Banees. At one point even questioning whether the Banees which are recited now during Amrit are the same which Guru Sahib recited on the Vaisakhi of 1699. He even went to the extent of congratulating a heretic gurdwara in Finland who changed the first pauree of Ardas. Even calling Takhat Hazoor Sahib as a shop and proposing to sabotage its golak. It’s not only Darshan Singh’s fault. Had the panth taken notice of his outlaw nature and taken cognizance of his blasphemy, maybe he wouldn’t have gone to the extent of denigrating the life of Guru Sahib. The silence of the panth towards his blasphemy is equally to be blamed. The Takhats of the Khalsa Panth can issue Hukamnamas. It’s up to the Sikh panth to follow and implement those diktats. Numerous Hukamnamas were issued from Patna Sahib and Akal Takhat Sahib ordering the panth to be aware of Darshan Singh’s nefarious designs. But the panth didn’t take notice of that. Moreover because of Darshan Singh’s anti-Badal rhetoric, those leaders and those parties who oppose Badal and the SGPC saw an ally in Darshan Singh. Ignoring the Hukamnamas and ignoring the outlaw nature of Darshan these leaders gave unconditional support to Darshan and gave him an open forum through their stages to spew his venom. It was ever expected that the members of the Kala Afghana cult who openly defy any panthic authority will come to his support. And they didn’t disappoint. Wholeheartedly they supported Darshan Singh’s Guru Nindya. Unfortunately even those from whom sincerity was expected also towed the line of Darshan Singh. 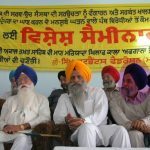 A scribe, who claims to dissipate the news of the Sikhs to the World, in a clear defiance to the panthic mood, has written in defense of ‘Singh Sahib’ Darshan Singh. 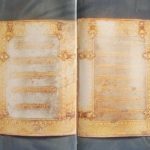 It was expected of that scribe that he will get to the core of the truth and then address the issue with honesty. However, a former member of SAD (Amritsar) who doesn’t cease any opportunity to criticize the government for atrocities against Sikhs has sided with a man who used the most derogatory remarks for Guru Sahib. The issue is simple and straightforward. We are either with the Guru or with the Guru-Nindak. There is no middle path. We have to decide. Do we want to cross the line of Baba Deep Singh and be ready to sacrifice ourselves for the Guru; or we want to stand on the other side and continue to support a Guru Nindak and still call ourselves as Sikhs.